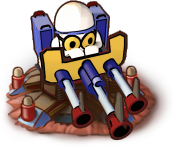 Bombard is basic artillery tower equipped with rudimentary cannon. It deals area damage which means that it is easy to hit large groups of enemies at once. 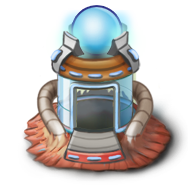 Related upgrades leads to improving damage and blast effect of missiles or sophisticated slowly but effectively damaging swamp areas. Artillery is the second level of Bombard. Modernization of the cannon and improvement of used explosives increase attack damage dealt to groups of enemies. Engineers worked days and nights pretty hard to find out how to improve the Artillery and here is a result: the facility launching powerful missiles with great destruction power. It nearly stops the enemies for 2 seconds as a bonus. 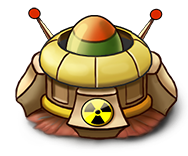 Nuclear Silo is the ultimate upgrade of explosive Bombard. The facility launches nuclear missiles able to deal more than twice damage of the Missile Silo and it stops enemies for 3 second now. But be careful! Missiles can hit your own units. 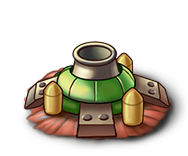 Improve Attack: Each missile gets even greater damage depended on points spent in this upgrade. 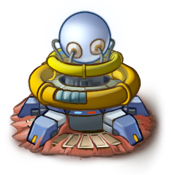 Swamp Tower is first upgrade of Bombard in case the player decided to not use missiles. 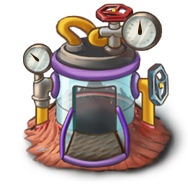 Chemical laboratory generates toxic swamp field which causes damage and slowdown to all enemies walking through it. Microbiologists did their best to find the formula which can be added to swamp field in order to generate more damage and slowdown. The area covered by this green liquid is also more extensive. Scientists accidently spilled something unknown into Artificial Wetland and suddenly the liquid covered more area and dealt damage was more than lethal. 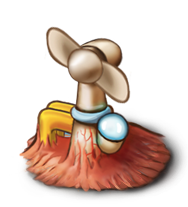 The slowdown of enemies is also more effective, so the damage can cause longer time. Lucky and pretty useful mistake, isn’t it? 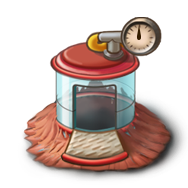 Slow Poison: The anaesthetic poison spilled into swamp causes slowing effect based on spent upgrade points. Barracks produce 2 basic Platelets. These soldiers are with very little training and are not able to attack. However they can slow down enemies. This offers time to deal damage by shooting towers nearby. 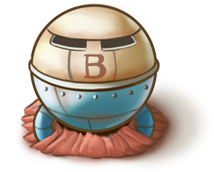 Barracks can latter acquire slowing laser beams, ability to teleport enemies or train your strongest unit – Golem. 3 absolvents of the Bodyguard Academy are well trained in fighting and equipped with baton. They are still not the elite soldiers but they can hold and hurt quite a number of enemies. Headquarters is a place where only elite troops can be hired. Units with more hitpoints and additional baton can deal really decent damage to enemies. Headquarters can be equipped with laser generating device. 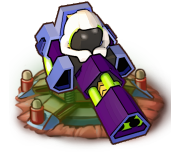 Beams are supporting your troops by slowing the enemies so they have more time to regroup and destroy them. Add a Beam: Upgrade generates additional slowing laser beams. Scientists made experiments with perception of time and space and here we are: the teleport. The upgrade causes relocating enemy units back in a short distance. 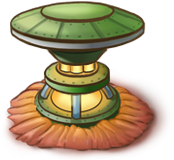 Teleport Extension: Upgrade positively affects the distance of relocated enemy units. 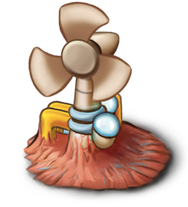 Feel the Power: Increases number of units teleported at once in specific distance. One unit worked out quite too much but well, good for you. The Golem is ready to be summoned and to show the enemies who is the boss. Hitpoint Enhancement: The upgrade make your troops tougher. Each point increases number of hitpoints of your Platelets. Attack Improvement: Increases the chance of a critical hit and attack damage of Platelets. 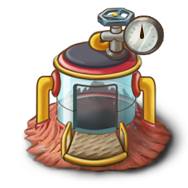 There are few ways how to earn Oxygen for constructing and upgrading towers in the game: killing enemies, launching waves earlier or buying premium Oxygen in the Shop. But there are also Oxygen Generators in each level able to produce some amount in specific time period. Modernization of turbines in generators increases amount of produced oxygen. Development is an infinite process. 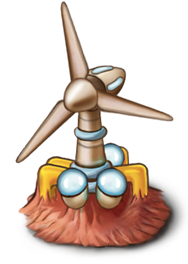 Turbines of generator were improved again and produce more and more oxygen. Use it wisely. This tower fires quite fast and constantly but not very effective. 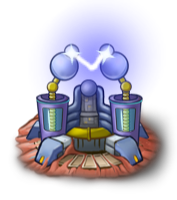 Corpuscle Tower can be upgraded in two ways – you can focus on number of cannons or transform the tower into Tesla energetic weapons. Corpuscle Tower is rebuild to accumulate shocking power and therefore firing lightning shots. 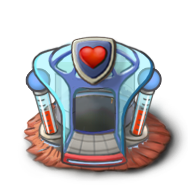 A target of Tesla Towers is always unit with the currently highest number of hitpoints. A disadvantage is slow attack rate. Engineers developed second generation of Tesla Towers which is channeling extraordinary powerful beam. The ability to target currently toughest enemies remains. 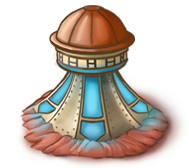 Another improvement of Tesla Tower brings cupola upgrade generating powerful electric shocks. 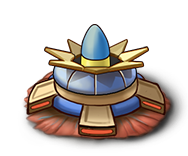 The target of Tower is still the same – focusing on the units with highest amount of hitpoints. 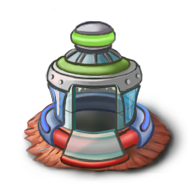 Plasma towers are the ultimate energetic generators using technology of the power accumulation. The tower brings the highest damage-per-shot out of any shooting towers. Energetic Storage: Each point increases energy supply which causes more damage. Binocular Upgrade Upgrading binoculars gives more chance to critical hit. When white blood cell pulls the trigger of cannon, you can bet the bullet stream will be pretty accurate and fast. The damage is not so impressive so the gunman always choose unit with lowest hitpoints. 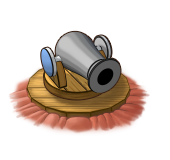 Additional cannon brings not only double damage but attack range as well. Enemies can be shot down pretty soon. Do not forget that Double Cannon is good for killing low hitpoint enemies. When 2 cannons are not enough, well, third one is needed. Tripple Cannon means tripple damage and expands horizont of aiming. Great weapon for sniping the lowest hitpoint units. Progress cannot be stopped so here we are laser beams instead of old school bullets. This increases dealt damage and slightly attack range as well. Long Range: Increases the reach of tower by 5% for each point spent in the upgrade. Fire Penetration: Increases chance of a critical hit by 5% for each added point. Vitamin factory is basic support building. You should build it in order to increase effect of nearby attacking constructions. Building the factory increases range, damage and rate. 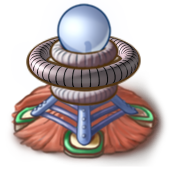 Related upgrades are focusing on one particular aspect but slightly improves the others as well. Upgrade Range increases production of vitamin A. One of its main functions lies in maintenance of good vision. That means nearby towers have improved range of attack. See the „B“ on the wall of the building? It means thiamin or rather vitamin B1 which is involved in process of using energy optimization. Nearby towers are more powerful thanks this. This upgrade helps to produce magnesium. Improved regeneration of muscles and nerves leads to better concentration. Your soldiers have better reflexes and towers can attack faster. © 2014 ALDA GAMES, s.r.o.